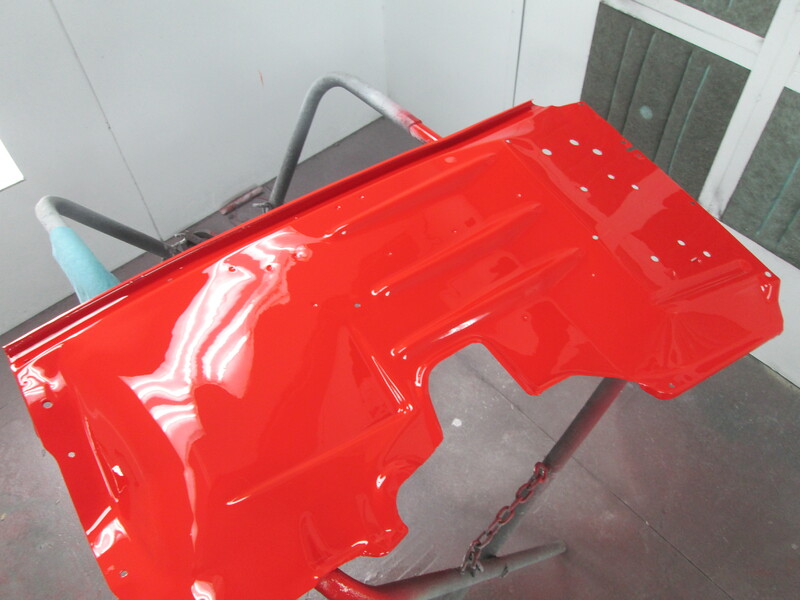 The 1952 Ford is coming together right nicely. This morning we blocked out the fenders, header panel and inner fenders. 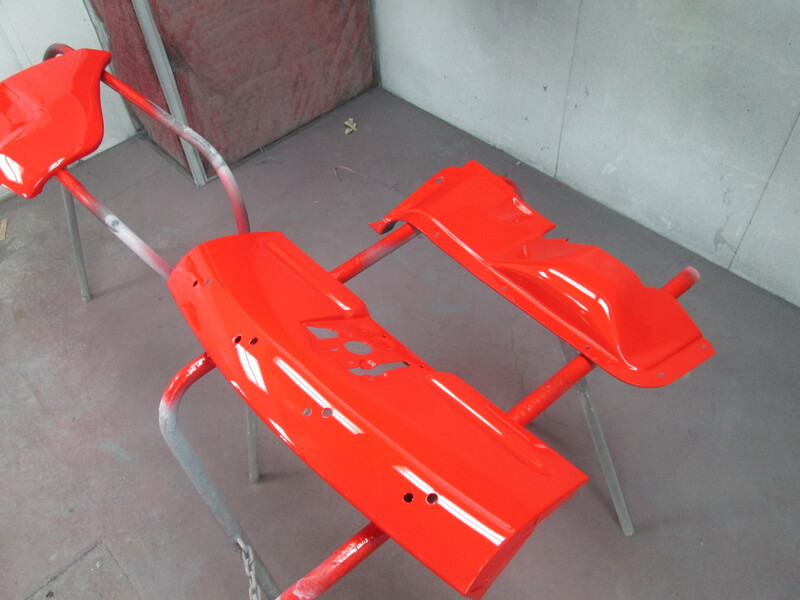 Since it was a little warmer today we opted to go ahead and prep them and get them painted today. 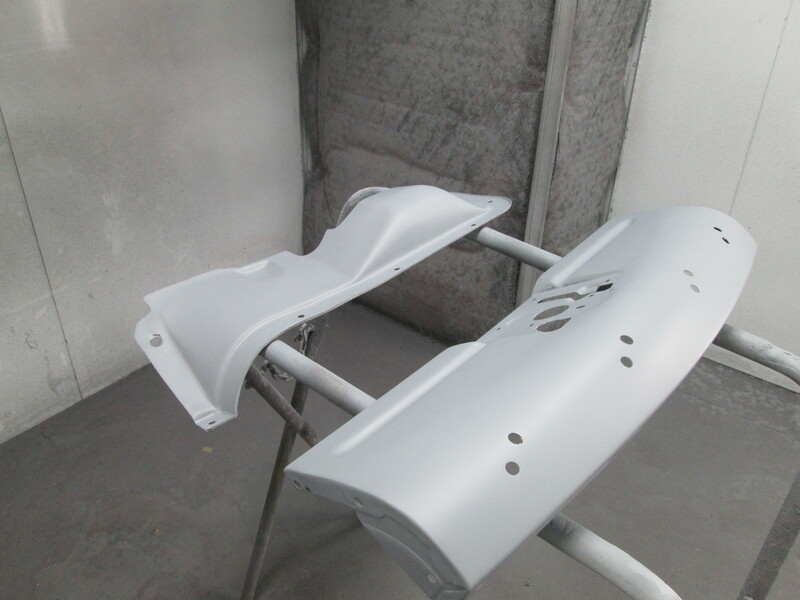 Warmer temperatures makes the paint dry a little better so since we had several parts ready, we took advantage of it. 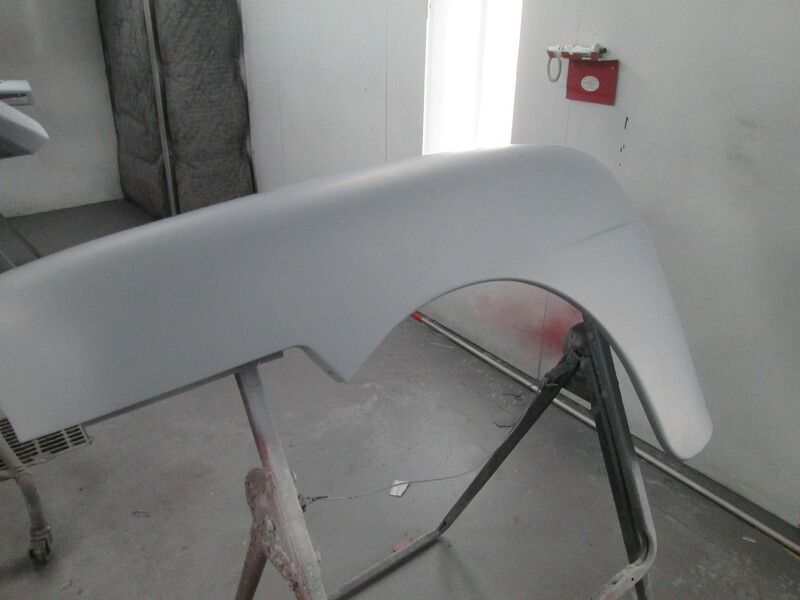 The first few pictures were taken after the sealer was applied. 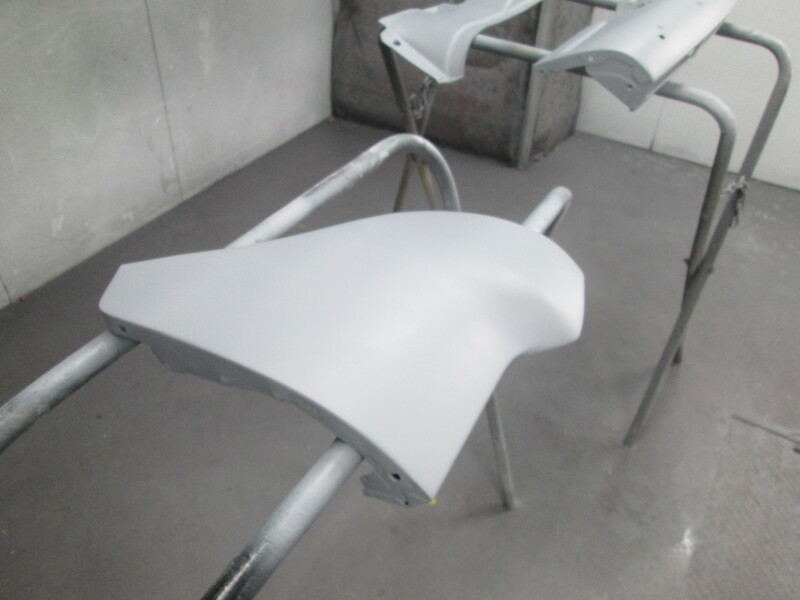 Sealer is used to provide a uniform layer to help with the coverage of the color coats. 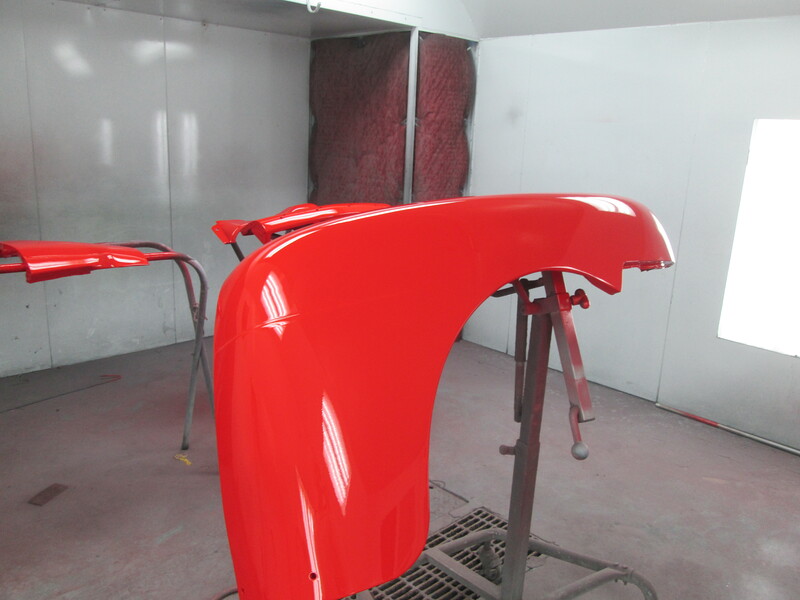 4 coats of color were followed by 3 coats of clear. As you can see they turned out very slick. 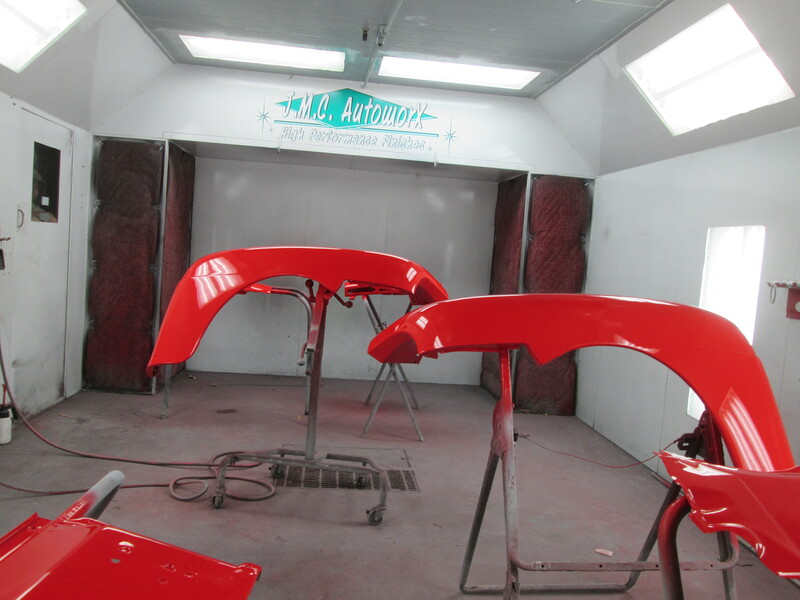 We will give these a few weeks to fully dry then we will wet sand and buff these just like we did the rear ones. 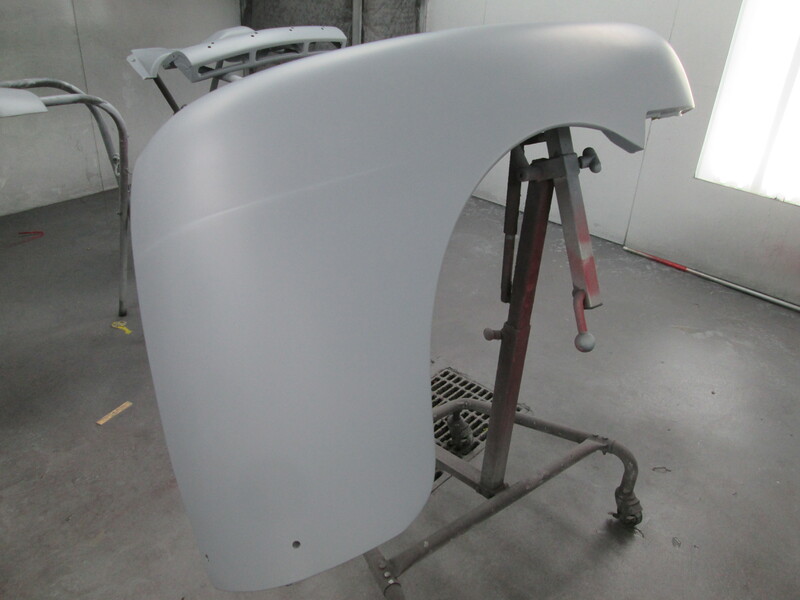 Posted on November 24, 2014, in 1952 Ford Truck, High Performance Finishes and tagged 1952 Ford Truck, Base Coat, Clear Coat, Ford truck, High Performance Finish, Jmc Autoworx, Mustang custom paint, Paint. Bookmark the permalink. 1 Comment.